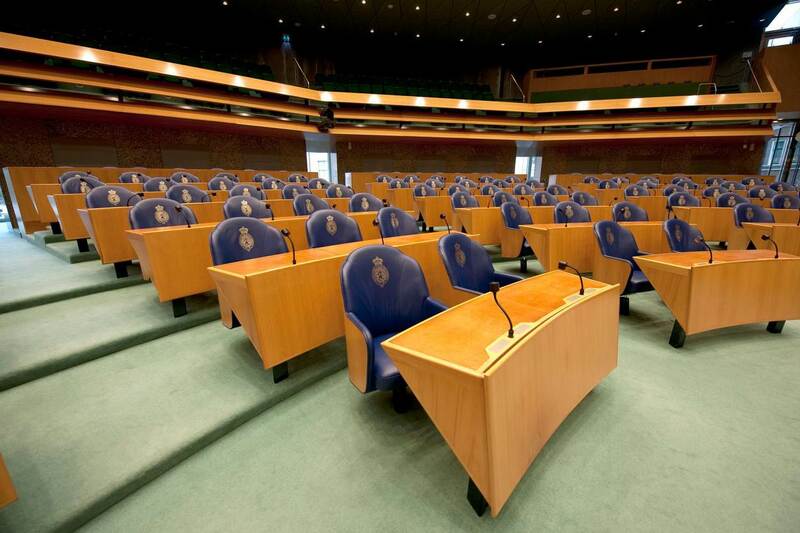 Budget Day (known as Prinsjesdag, or ‘Prince’s Day’), on the third Tuesday in September, is when the government announces its plans for the coming year. King Willem-Alexander travels in the Glass Coach to the Hall of Knights in The Hague. There he reads the Speech from the Throne, officially opening the parliamentary year. Later that day, the Minister of Finance presents the House of Representatives with an overview of the costs of the plans announced in the Speech from the Throne. He goes to the House of Representatives with the ceremonial briefcase, where he presents the National Budget and the Budget Memorandum. These state how much money the government is making available for its various plans for the coming year, and where it is coming from. The tradition of the budget briefcase started in 1947. Finance Minister Lieftinck wanted to add a touch of style when presenting the first budget after the Second World War. He copied it from the British, who have long presented the budget in a special case. The current briefcase has been in use since 1964. It was a gift from the state printing house and made of goatskin parchment lined on the inside with blue silk. It is actually too small to contain all the budget documents, so some are submitted later to the President of the House of Representatives. On the morning of Budget Day the Minister of Finance signs the Budget Memorandum and the central government budget. By this time the individual ministries’ budgets will have been signed by their ministers. These documents are then placed in the ceremonial briefcase and the Minister of Finance walks with it from the finance ministry to the Binnenhof, where he presents the budget to the House of Representatives at 15.00. After Budget Day the House of Representatives and the Senate debate the budget. The House can make changes to budget proposals; the Senate cannot. Before the end of the year, the House of Representatives and the Senate vote on the budget proposals and any amendments. As soon as both houses have approved the proposals, the central government budget is adopted. The government is then free to implement its plans.